This Arab Sheik costume headpiece includes a headpiece with elastic band. This Sheik costume headpiece fits most sizes. 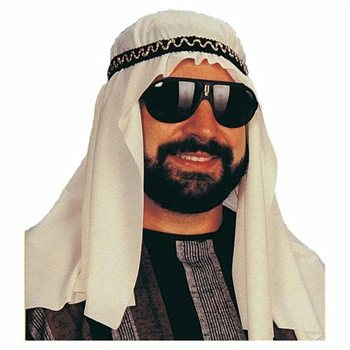 This Sheik costume headpiece will compliment any Arabian costume.